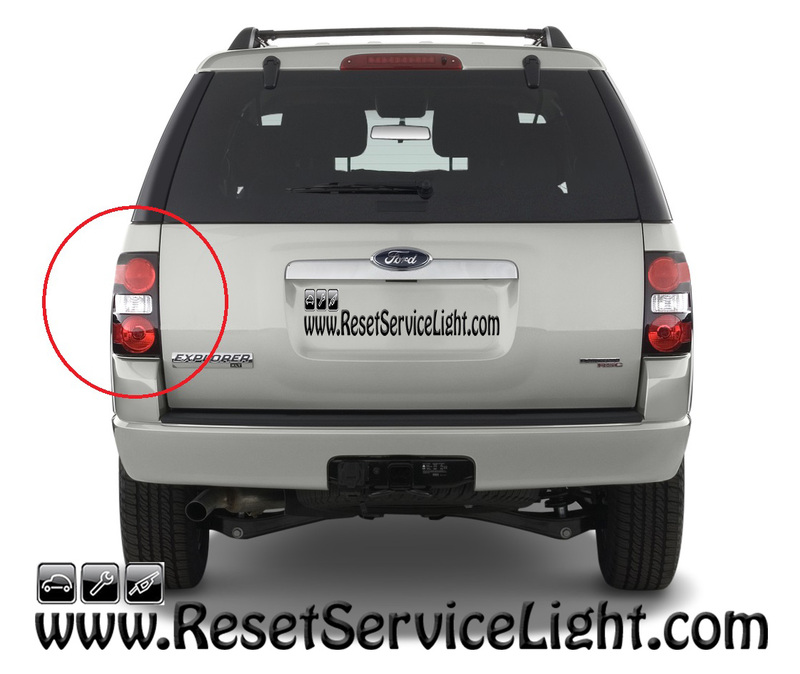 DIY, change the tail light assembly on your Ford Explorer 2006. The replacement procedure is similar for models manufactured in the years 2007, 2008, 2009 or 2010. 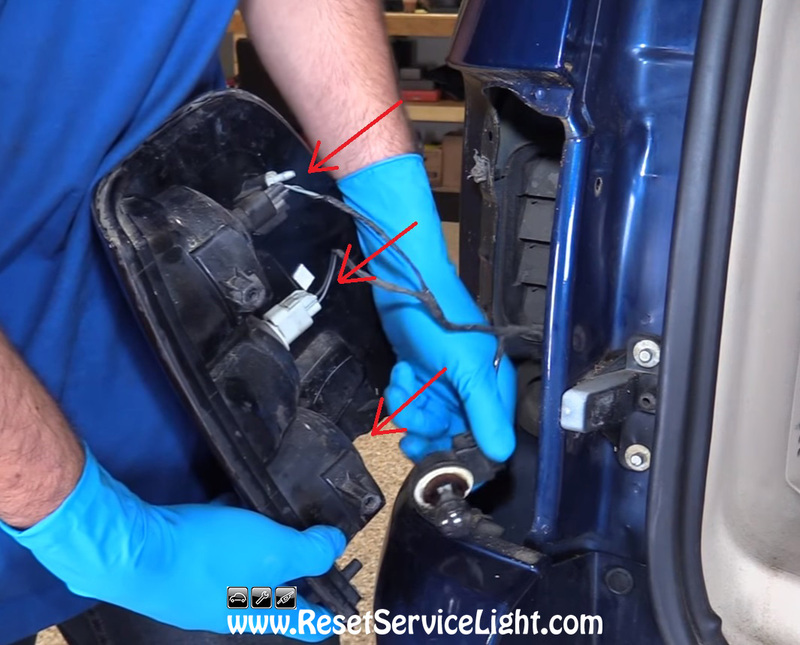 To be able to remove the tail light assembly on this car, you will only require an 8 mm socket wrench. The repair will not take you more than 10 minutes, it is very simple. First of all, open the hatch on the back and go to the damaged tail light. You will notice two 8 mm bolts holding it, on its inside edge, marked with red circles in the next picture. These bolts can be removed easily using an appropriate socket wrench. Then detach the assembly by pulling it straight back, towards you until it is released from its clips. You will notice that the assembly has three electrical harnesses, shown in the next image. Remove all three bulb sockets by turning them a quarter turn counterclockwise. So you can service the bulbs very easily now, but keep in mind not to touch their glass surface because you can damage them. 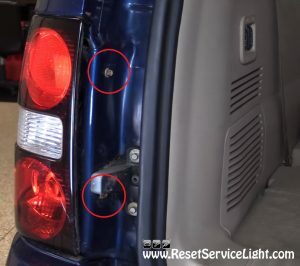 Replace the tail light housing and finish the repair by installing everything back in its place. After you plug back the bulb sockets, install the assembly and secure it with the two bolts. 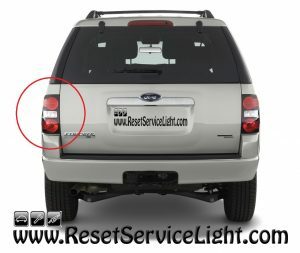 This is all you have to do, if you wish to change by yourself the tail light assembly on Ford Explorer, made between the years 2006 and 2010.